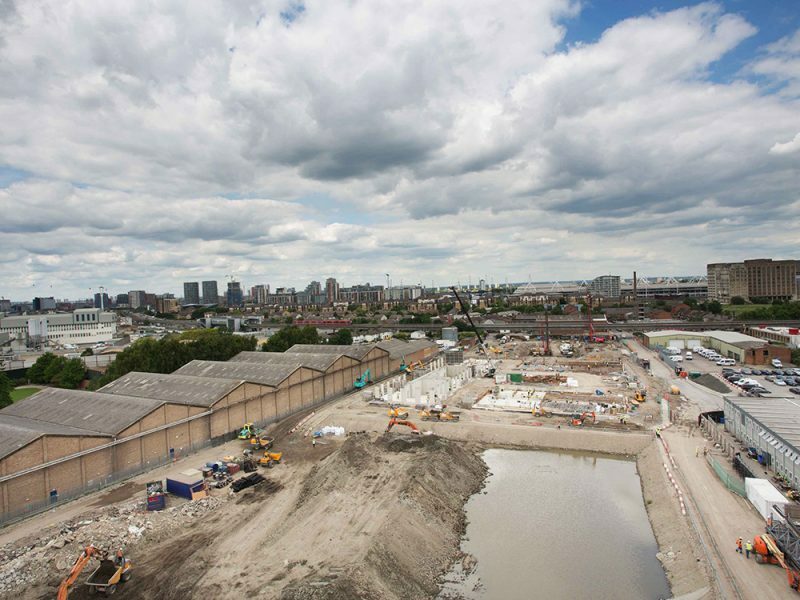 Developing a huge, brand new waterfront community for London was an extremely exciting, and challenging project. 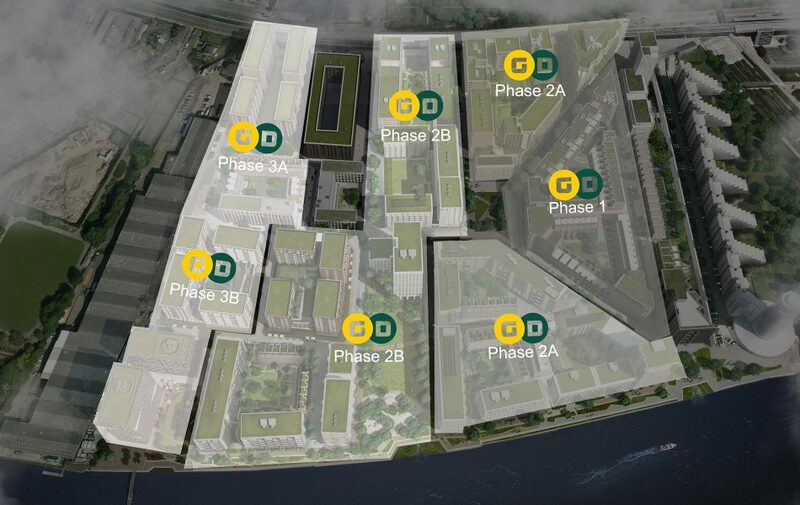 The scope was vast and comprised 3,385 homes, a riverside walkway, new streets, parks and squares, a school, shops, offices and riverside restaurants. 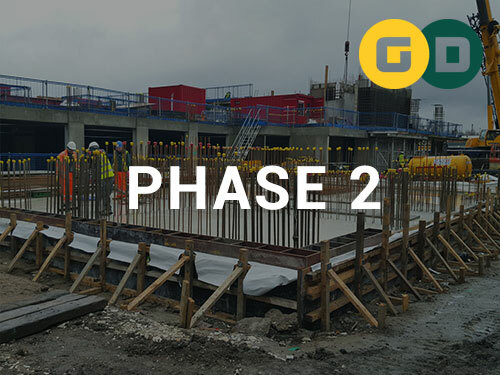 We were the principal contractor on 2 phases. 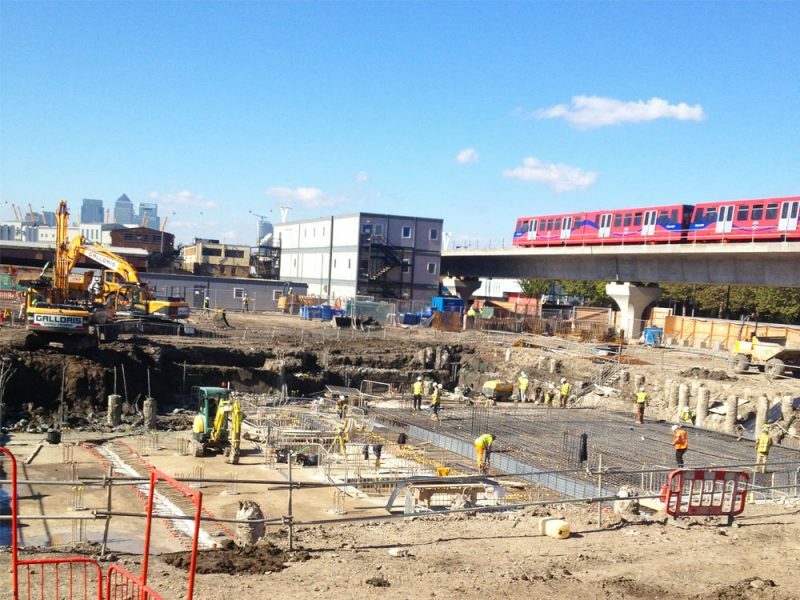 Our works included piled foundations, basements walls and podiums, frames to transfer slabs, roads, sewers and statutory authority work. 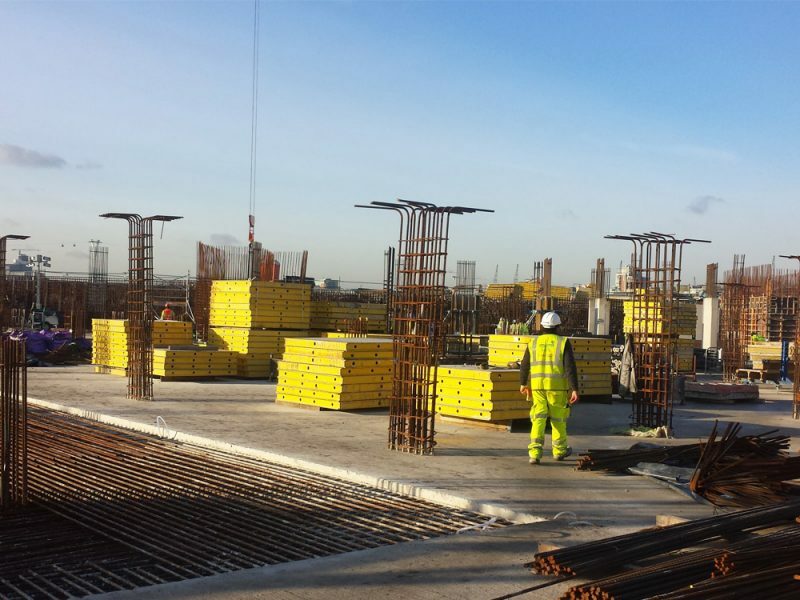 We also constructed piled wall tidal terraces on the River Thames and were responsible for the erection and operation of 8 No tower cranes. 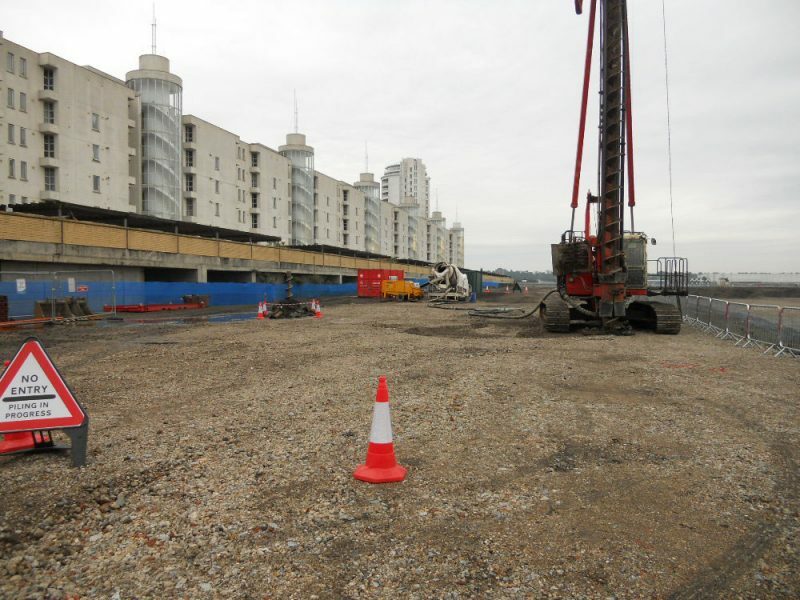 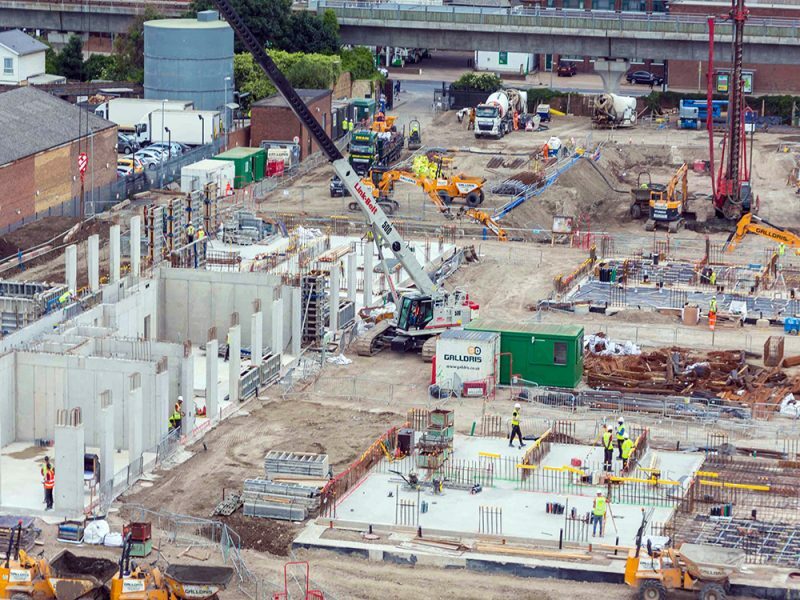 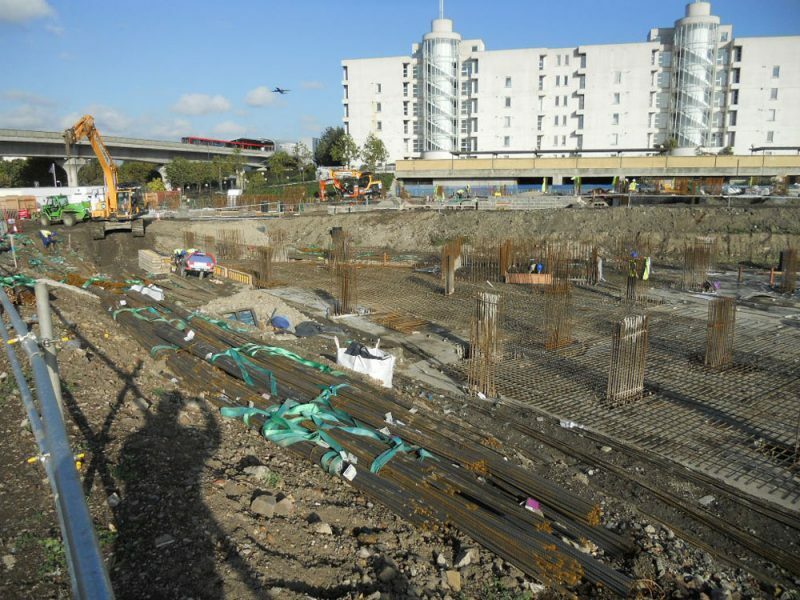 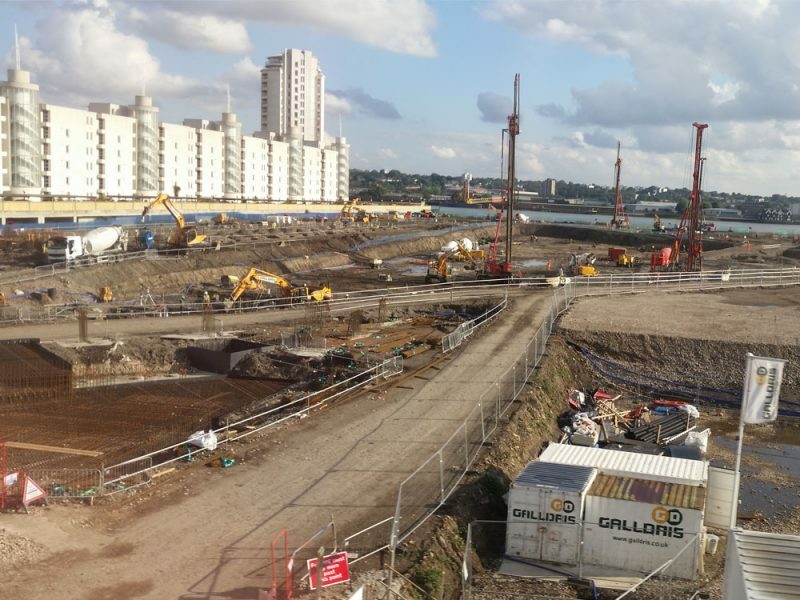 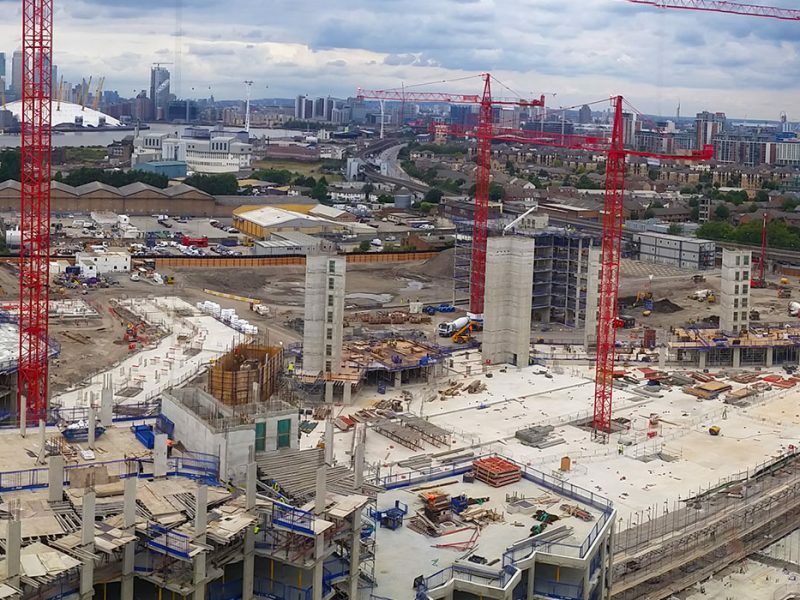 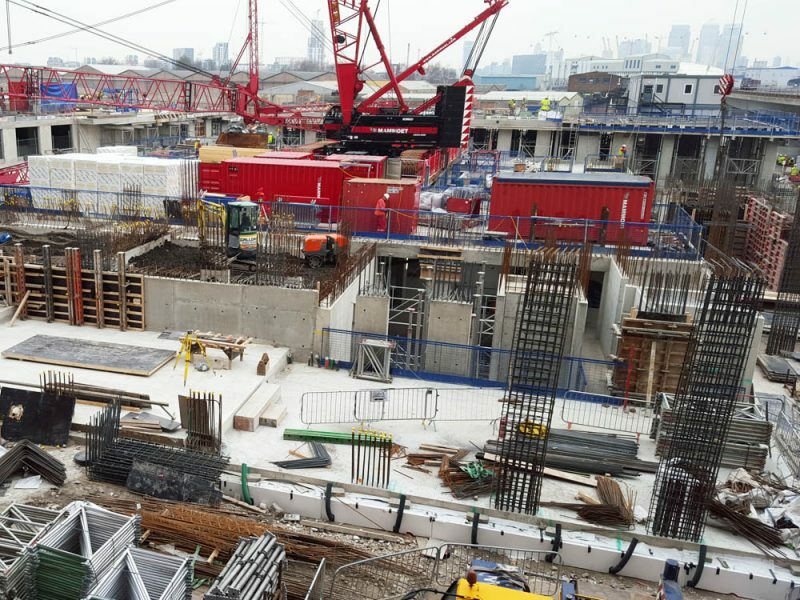 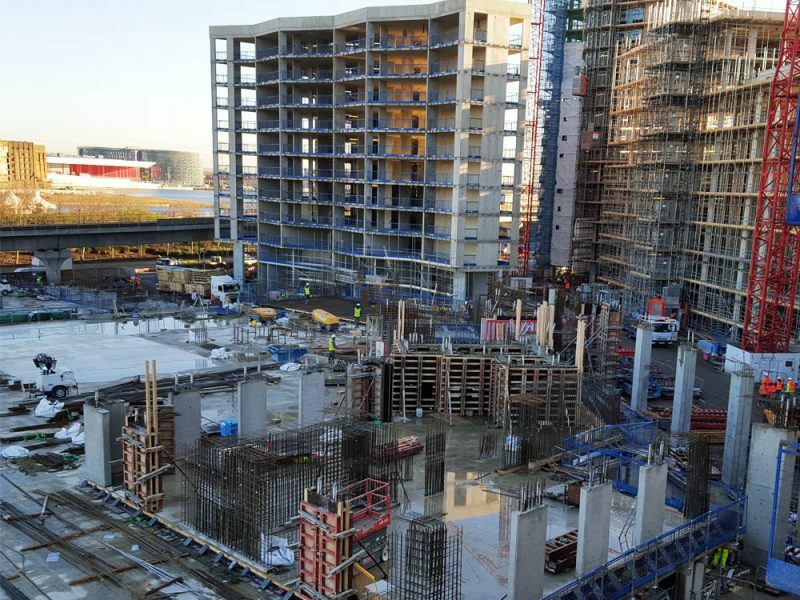 The site constraints included contaminated ground, a high water table with contamination, and close proximity to the River Thames, to the Docklands Light Railway and to the existing Barrier Point Development. 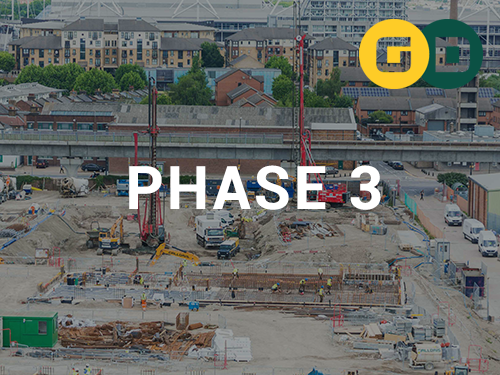 We worked closely with our client to move towards the final design for construction. 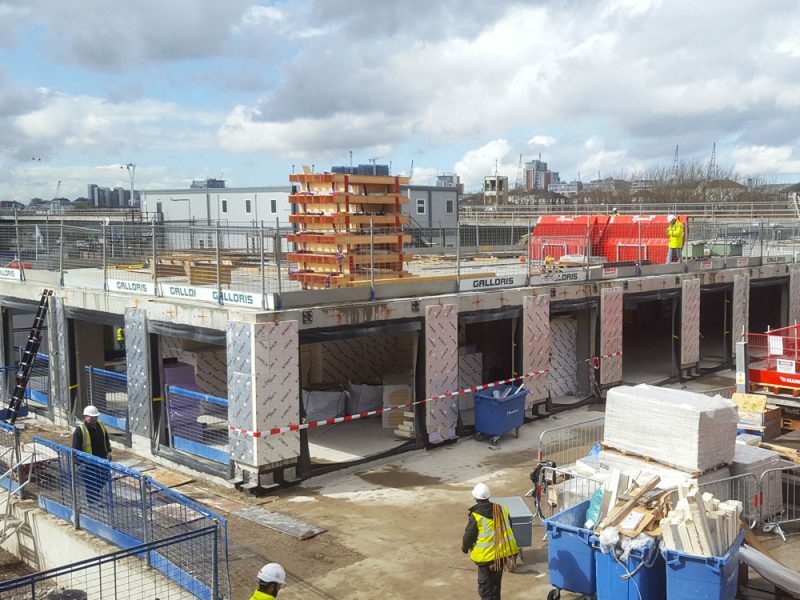 This overview combined with a focus on innovative delivery at every level and at each stage ensured this huge project ran smoothly. 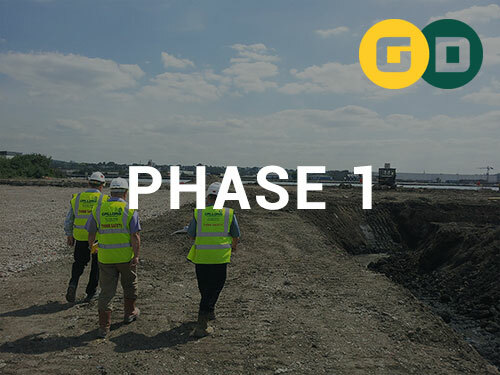 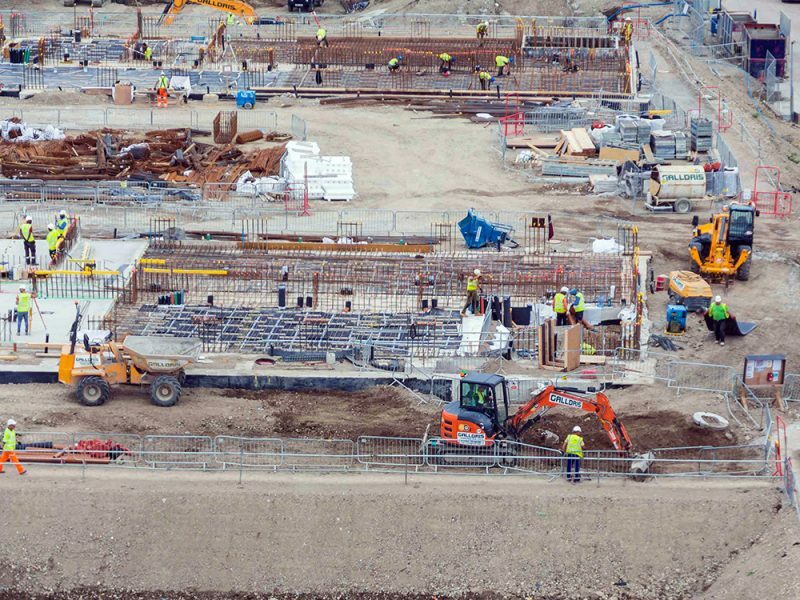 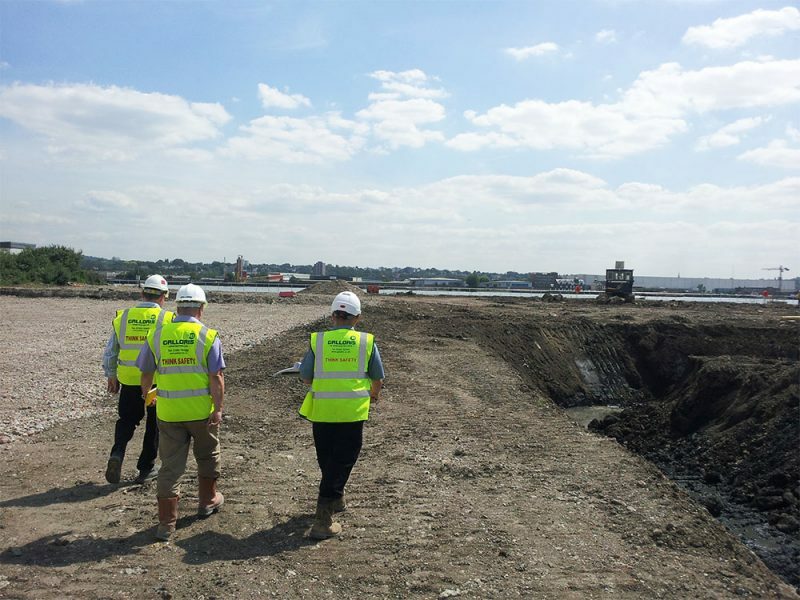 Our understanding of the constraints and difficulties posed by a complex, contaminated site gave us the additional insight needed to ensure that problems were anticipated and managed effectively as we progressed. 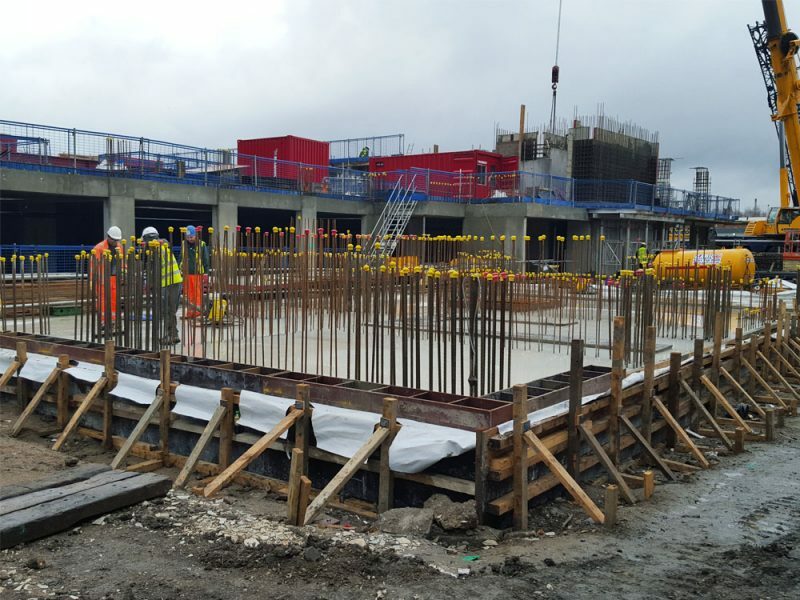 We developed an innovative design for gas venting and waterproofing systems. 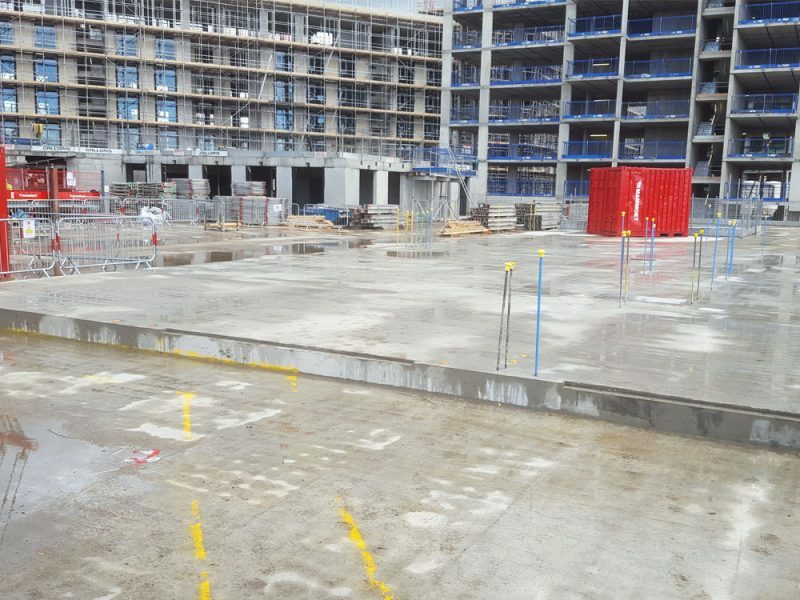 We used a crack inducing and injection system to create a waterproof basement structure – essential in this waterside site. 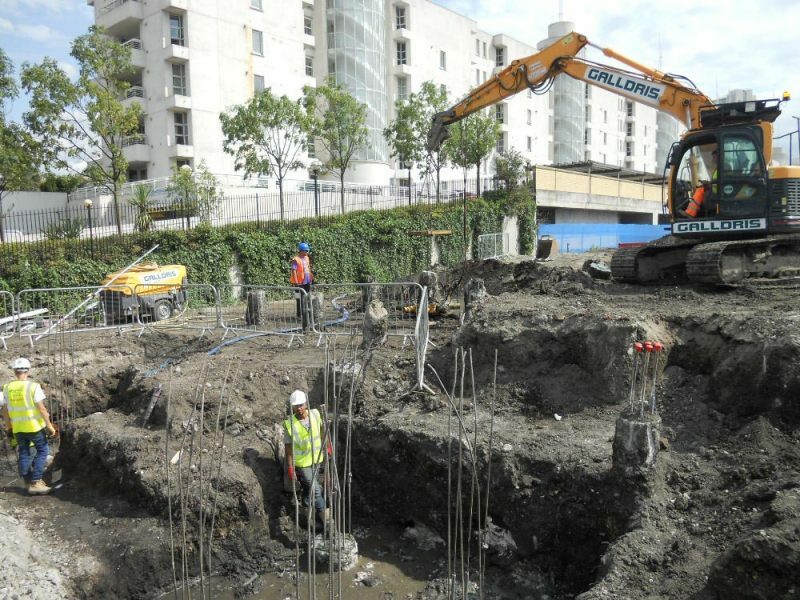 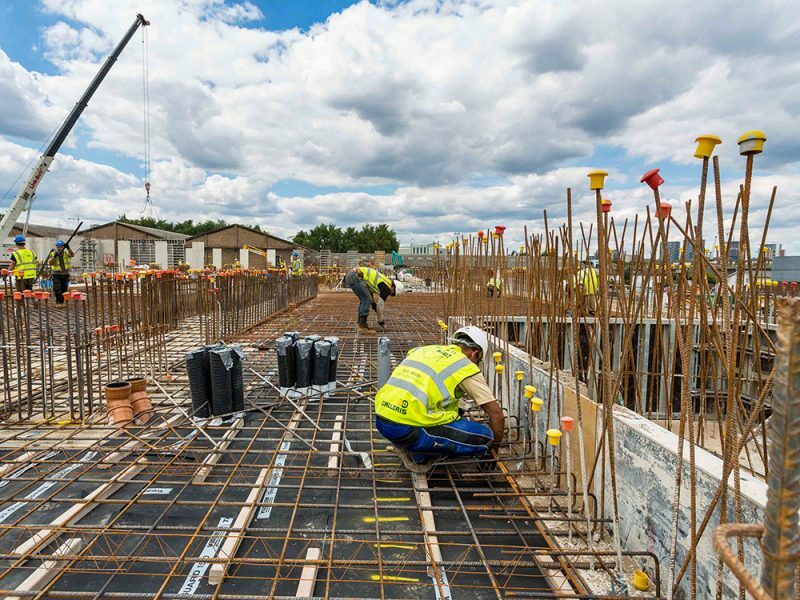 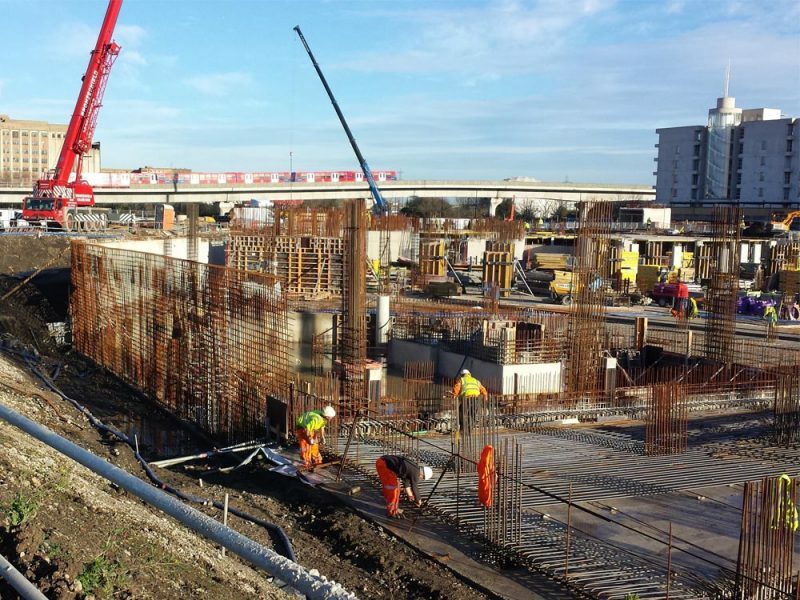 In addition we ensured that site processed materials were used for structural backfills. 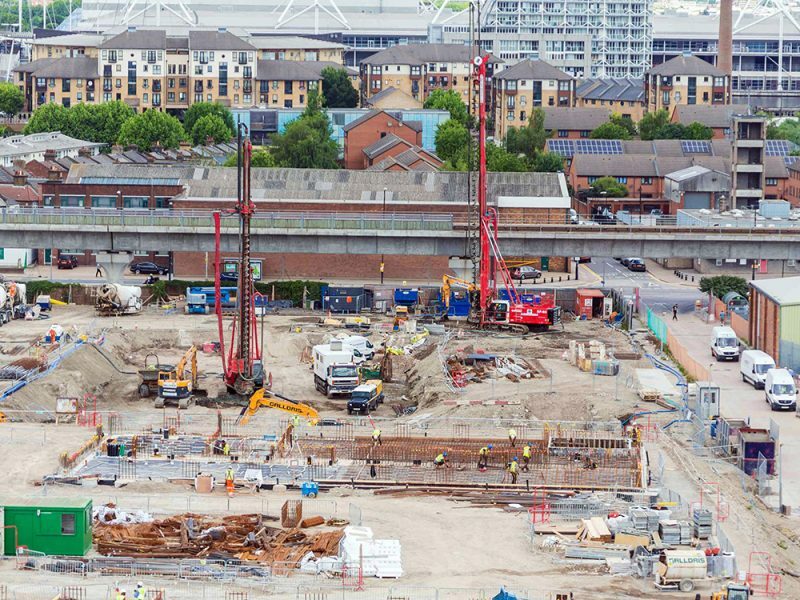 The breadth of our expertise and our ability to co-ordinate effectively made a significant difference at Royal Wharf.